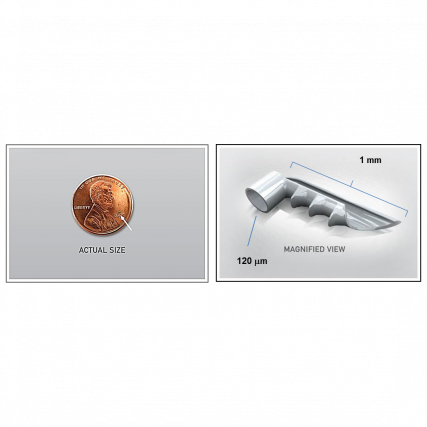 The world’s smallest medical implant delivers big results in mild-to-moderate open-angle glaucoma. iStent is implanted during your cataract surgery procedure. Once implanted, iStent will begin working to safely and effectively manage pressure. 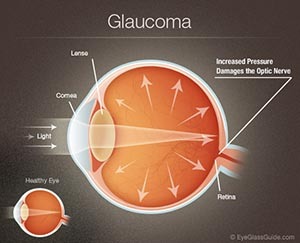 What’s more, patients who receive iStent may experience a reduction in glaucoma medications; but this will be at the discretion of your physician. The iStent® Trabecular Micro-Bypass Stent (Models GTS100R and GTS100L) is indicated for use in conjunction with cataract surgery for the reduction of intraocular pressure (IOP) in adult patients with mild-to-moderate open-angle glaucoma currently treated with ocular hypotensive medication. The iStent® is contraindicated in eyes with primary or secondary angle closure glaucoma, including neovascular glaucoma, as well as in patients with retrobulbar tumor, thyroid eye disease, Sturge-Weber Syndrome or any other type of condition that may cause elevated episcleral venous pressure. Gonioscopy should be performed prior to surgery to exclude PAS, rubeosis, and other angle abnormalities or conditions that would prohibit adequate visualization of the angle that could lead to improper placement of the stent and pose a hazard. The iStent® is MR-Conditional meaning that the device is safe for use in a specified MR environment under specified conditions, please see label for details. 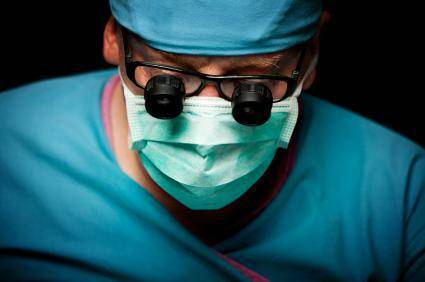 At Wesson and Mothershed Eye Center, we provide a variety of surgical services. Out-patient cataract surgery, lid surgery, LASIK and other refractive surgery and various retinal surgeries are performed at our Medicare-approved surgery center (Tupelo Surgery Center).